First OFFLINE PSN license generator. Backup license without any private information. Power on PS3, Running of all PSN contents same as official activation. reActPSN v2.0 must needs an 8byte patch to vsh.self. patched vsh.self for reActPSN 2.0 package, all tested working very well. 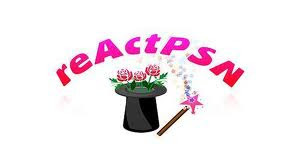 Patch to allow verify unsigned act.dat and *.rif files for reActPSN. Files must be replaced in /dev_blind/vsh/module/ using either FTP or file manager. copy this package to USB media. your must run rebug_selector or reflash rebug cfw, make sure vsh.self are their orignal name. more information for new PSN function patching..